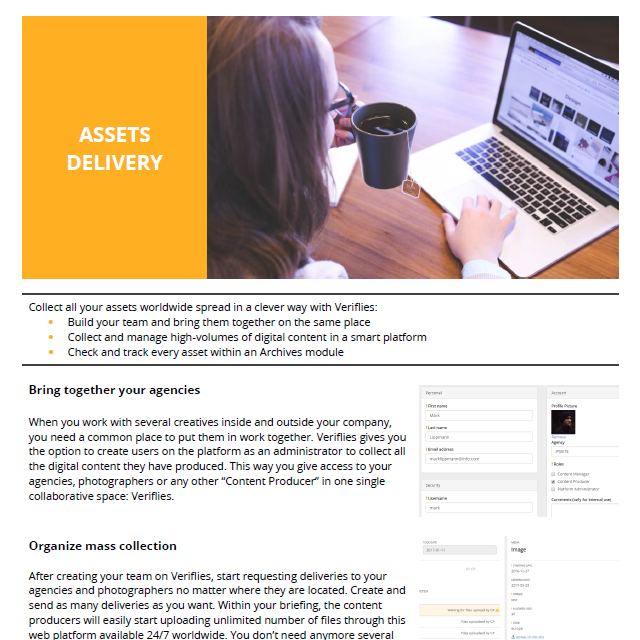 Asset delivery is the first action realized when you populate your DAM content. Easy to do when you start it becomes extremely complicated when dozens of content producers deliver assets. Veriflies is especially designed to make asset delivery simple even in complex content delivery ecosystem.